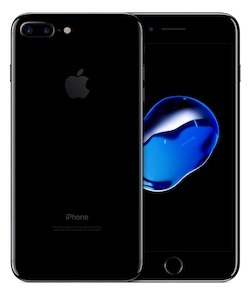 Apple recently updated the confirmation email it sends to customers who reserve an iPhone 7 or iPhone 7 Plus to clarify that in-store reservations are now limited to iPhone Upgrade Program members in the United States. Apple allows upgraders to reserve an iPhone through its iPhone Upgrade Program reservation system for pick up in store, but many customers were able to bypass the program and pay in full or with carrier financing instead upon arriving at their local Apple retail store. Can I change to a different form of payment for the iPhone Upgrade Program? Yes. You can also upgrade your iPhone to carrier financing or purchase it at full price. Ask a Specialist for more information. I did this last Sunday and it went off without a hitch! I used the iPhone Upgrade Program reservation link to reserve my iPhone 7 at my local Apple Store. I was not a member of the iPhone Upgrade Program at the time and had no plan to join it. I showed up at the store, they had my phone and I just told them I wanted to purchase at full price. Not a problem! But since the change in wording, it appears that Apple has already turned away some non-upgraders attempting to purchase an iPhone through the Upgrade Program reservation system without signing up for the program. I just tried this earlier today and wasn't able to purchase one I reserved with a different carrier. According to the clerk, they received notice yesterday that some of the iPhones were reserved for people enrolled in the Upgrade Program and they couldn't sell to me outright. While many other MacRumors and Reddit users have faced the same situation since yesterday or so, some customers have still managed to reserve an iPhone and pay in full or with carrier financing. For that reason, your mileage may vary, and non-upgraders are recommended to call their local Apple retail store and request to speak with a manager before placing a reservation. For its part, Apple's reservation page has always noted that a 24-month installment loan through Citizens Bank, which finances the iPhone Upgrade Program, is required -- this change just cements it. In other countries where the iPhone Upgrade Program does not exist, such as Canada, all customers are able to use Reserve and Pick Up regardless of their payment method of choice. guys dont buy into the hype. wait another year. We iphone 8 users are going to laugh at you rocking the old iphones with the big bezels as the new iphone wont have a home button. so essentially you're paying $400+ to rent the iphone from apple if you upgrade next year. Thanks for the advice, but I'll spend my $400 as I see fit, not how some random dude on the internet thinks I should spend it. Plenty to justify the 7+. Keep laughing all you want, I'll have the next iPhone as well. I think you're missing the idea of the program. Its so you can upgrade EVERY year. And what's wrong with paying $400 to rent a phone in order to get a new phone the next year? My work and personal life rely heavily on the iPhone, so yes, I would like to have the latest and greatest phone in order to stay on top of my busy life. Also, any financial savvy person knows: lease depreciating assets, buy appreciating assets. And don't ever be foolish enough to pay cash when there's a 0% APR option available (assuming no major hit to credit). Or even better, a contractual commitment rather than a loan (carrier plans over iPhone Upgrade Program). Why would I pay $800 now for something that'll be worth $400 the next year? How about I pay $400 for an $800 device over the course of a year (so 0% APR), and use the $400 I didn't spend on an S&P ETF to earn a 3-5% annual rate with the same risk as the American economy? (Actually, depending on your brokerage, you could even invest $760 that first year, and deduct $40 from that account monthly to pay to lease the phone to eek out even more gain). Im pretty sure most of us who have the 7 are upgrading regardless to next years model. So you won't be laughing at anyone. This is rediculous!! Can't give them preferential treatment . Apple screwed this whole launch up soooooo bad ! So this reservation system is for the Upgrade Program and people are wondering why you can't use it if you're not in the Upgrade Program (or don't want to be)? Okay, but lets get this straight. People that reserved the phone for IUP but planned on changing it to full price were still getting hit with the credit check before they got their phone. The credit check is done at the time you reserve the phone online. I can verify this as 4 people in my family joined the IUP this year, all online reserved for in-store pickup. The credit check was the date they reserved the phone, not picked it up. You had to supply your social security number during the checkout process. Your full social, not just the last 4 for carrier purposes. I did this and the IUP reservation system only asked for my Apple ID to confirm the time/location of the reservation and i paid full price for it. Thank God I was in before the lock. Apple is really starting to F things up.